Russia’s women’s chess team has won the FIDE World Championship team title for the first time in its history, overcoming India 3-1 in the final on Saturday, the title-deciding points being won by grandmaster Alexandra Kosteniuk. 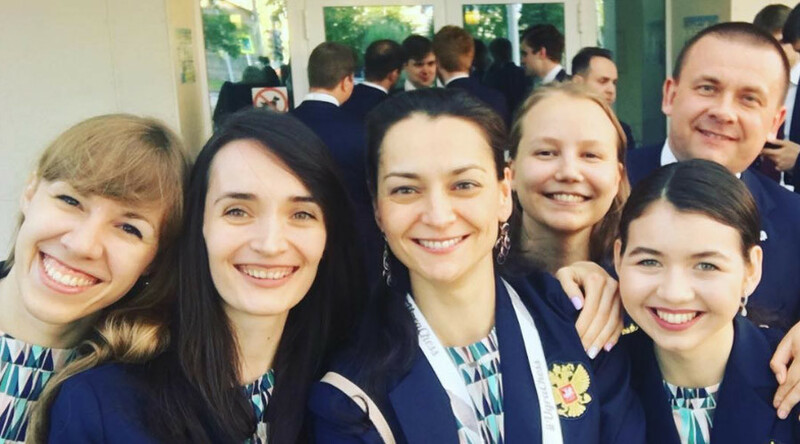 The Russian team of Kosteniuk, Ekaterina Lagno, Valentina Gunina, Alexandra Goryachkina, and Olga Gira traveled to Russia’s Khanty-Mansiysk region to compete in the championship and did not disappoint on home turf. In the decisive ninth round, the Russian team, leading in the overall rankings, encountered their main rivals – the Ukrainian team - who stood between them and glory. The Russian team needed just a draw to secure victory against the Ukrainians and it was delivered to them by Perm native and 12th Women's World Chess Champion Kosteniuk. In the very first play-off, self-proclaimed 'chess queen' Kosteniuk played to a tie with her Ukrainian counterpart, Anna Ushenina, to bring home glory for the Russian team. The win is the first time ever the Russian women's chess team has become world champions. Kosteniuk later expressed her pride in the victory with an Instagram post that read, "Well done us!!! Team Russia - chess champions of the world!"